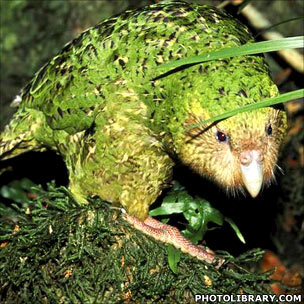 BBC - Richard Black's Earth Watch: Re-homing nature: A step too far? Branson is a successful businessman. Unlike all these taxpayer supported ecologists who are screaming from the roof tops, Richard has had a net beneficial contribution to society. Richard has added value rather than become a parasitic worker that leaches off others by "crying catastrophe" and getting taxpayer funds for more useless ecological studies! 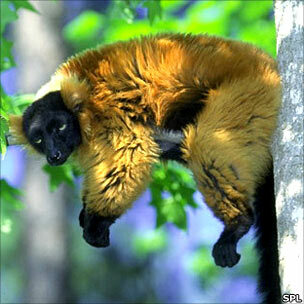 If Richard wants to introduce Lemurs to HIS islands then I say let the man do what he wants. All this red tape and enviro mumbo jumbo about you can't do this and you can't do that!! Frankly, the hard working people of this world with REAL jobs are getting sick of taxpayer funded loons (in Uni's, NGO's and Government) screaming about the catastrophic consequences of just about everything and anything. The only catastrophe is all these taxpayer funded eco loon pseudo-scientists who without handouts would not be able to survive! These are the species that need help in escaping their parasitic existence. in a small way to cancel out the enormous damage done by man. amount of reasoning will stop it.They care not if animals are harmed,and what can be more harmful than plundering their habitat? the jaguar or tiger from extinction because man has encroached on their habitat. This problem goes on repeating itself and will do so as the global population rises. suffering,but I feel angry that animals are the ultimate losers.Man has taken and taken from the animal kingdom,shot,snared,poached and treated with cruelty.If Branson can in a small way help to redress the balance then I applaud him. Wasn't there a scary and unmentionable disease in Madagascar just recently? I am not sure which species it hit, but the lemur sounds like a likely candidate. Jurasic Park was a story about bringing back large highly visible extinct species. It is the smaller, and hopefully extinct, species that I wouldn't want brought back to life. Has the lemur idea been fully thought through? Two of the creatures in the photographs look cute and cuddly but I am not sure about the third one. Cause vs. effect? One wonders how often might happen. .. If there is no 'catastrophe' why is Branson offering to help conserve lemur species? .. neoconservative ranting doesn't change the science. .. and interestingly Mr Branson does not appear to be in a position to discuss Moskito (Mosquito) Island as a prospective Lemur reserve, since he appears to have sold it to Split Holdings (not in the Virgin Group of companies) in 2010.. I definitely share Richard's (Black) concern over the other Richard's simplistic thinking. This is just another case of introducing an alien species into an ecosystem with unknown consequences. On the other hand, he could just call a spade a spade and call his island a zoo. And if saving a species from actual extinction is the goal, zoos work for that in an emergency. That's how they kept the California condor from disappearing... and there are now more Siberian tigers in zoos than in the wild... etc. And Richard explains the obvious: "Iconic animals such as lemurs are seen as ways of leveraging money and political pressure that can be used to conserve the whole native ecosystem." Not to mention using them as leverage for the great AGW project... like the polar bear. Unfortunately this use produces junk science research on these species to exaggerate their plight, to provide this leverage... as in the polar bear. But... Richard... this is particularly dumb: "Could we, for example, take the endangered snow leopard and find it a couple of uninhabited islands, perhaps in the Canadian Arctic?" Really? You think that the snow leopard eats snow? You could have come up with a better example than this absurdity. In any case, the musings of a self-absorbed egomaniac like Branson is hardly worth talking about. This 'conservation plan' demonstrates how clueless he is on this. Good blog about a fascinating issue. In general introductions have been a disaster, but they have hardly ever been done for conservation purposes. If it is properly thought through then it will work - but that depends on the criteria of the project. Branson is basically setting up a safari park/zoo to conserve some of the species from Madagascar. Introducing the lemurs is sure to change the ecological balance of his island, but is that a problem? That depends on whether the native flora and fauna is also at risk (I suspect not). And because it is a relatively small island, it won't be a wider ecological disaster if it all goes wrong. That's not going to happen. it is clear that Madagascar is a disaster zone at the moment. Make your mind up - you clearly have something to say about it! I commented on the topic. The whole article could have been written without the reference to Space Boy but I suppose that gave it the 'celebrity' status that caught Richard's attention. Perhaps the next article will be based on the musings on the Queen's simple son. but your recent postings show you have a bot working under your hide. Cut it out and let's get back to good, clean environmental fun. #13 Geoff. Yes, have been a little extra-cranky in my comments of late. Will try to be nicer. I suppose I should have responded more nicely to your absurd comment about bears in North America in the last thread, so it would help if you didn't toss out such red flags. You do know that there is even a black bear 'problem' in New Jersey now, don't you? How was that? Nice enough? A rereading of the classic The Theory of Island Biogeography, by Robert H. MacArthur and Edward O. Wilson, Princeton Univ. Press will help people understand why relocating Lemurs from a huge island to a tiny one will not work, unless one wants to make the the tiny one a zoo. If Branson's concern is primarily with protecting Lemur's, he would more likely be successful by purchasing critical lands to add to Madagascar's National Parks and then hire the guards to protect them from the ever expanding population. He could also contribute to family planning clinics in Madagascar along with advertising to promote the advantages of small families. #15 Well, grannie, I would do what Walleye suggested in his #14. That would be the most effective action and would earn Branson well deserved recognition. There could be a Branson Park. This particular announcement sounds like a poorly thought out publicity stunt. Look, I'm putting lemurs on my island! Sell the island and use those funds in Madagascar. Or at least do something for the native species of the island instead. Why lemurs there? And for Branson the businessman, it wouldn't hurt if more people wanted to fly to Madagascar. Win-win-win. If the man wants to build a zoo then I think we should let him, but I do agree that if he wants to actually save lemurs and other less popular flora and fauna, both he and they would be much better off if he bought up bits of Madagasgar. Our ship is sailing back on course. Thank you for your empowering link blunderbunny, and thank you CanadianRockies for your change of tack. If it is a zoo, call it a zoo. If it is purely a business venture call it that, but support others at the same time to earn respect. We can all contribute to supporting the environment and blunderbunny has provided the link. Madagascar could do with sustainable help and development. If our subject decides to take the path less travelled, would he receive recognition for his altruism? This appears to be about as well thought out as those witless Animal Rights Activists releasing Mink all over the shop, and look at the disastrous consequences of that! Not sure how many exactly how many times we're all going to find some common ground environmental issues, but it's nice when it happens. I used to think of myself as green, but the issues that we normally blog about here and elsewhere have sort of clouded that particular personal definition. Sometimes a hard man is need prepared to take hard decisions if the masses are to be prevented from trashing the environment. personally i think the idea of using 'totem' species to highlight the issue really deflects from understanding the wider issue - habitat destruction. whether we can or cant save a few large species by dotting them around the planet on islands is rather irrelevant if we continue destroying habitat at the current rate. every penny planned to be spent creating new habitat (as mentioned, really just big zoos) should imho be spent on conserving the habitats that cover the global hotspots (ecosystems that contain a large diversity of species). of course it's not my money to spend and i would rather it was spent on any conservation rather than something like space tourism but this really highlights an issue with the 'small govt' perspective of the extreme right political groupings. the bottom line is you cannot control what extremely wealthy individuals want to spend the money they have accumulated (often by trashing large parts of the planet) on. Why doesnt Branson just buy x thousand acres of Virgin Madagascar rainforest to preserve it for the lemurs? He wouldnt even need to rename it! Thanks Walleye for the Island Biogeography bit - I was just about to start my bit on the subject but you beat me to it. The key aspects are minimum size of appropriate habitat and food/predation balances. I was intrigued by the article suggestion of toxic plantlife -I can see something in this. On the size issue, 45,000 ha. would be the appropriate minimum (Ranomafana National Park, Mad. is of this size); geographically - 15-30 South; climatologically - dry tropical/monsoonal, 1500-4000mm; geology - preferably limestone with broken territory & some elevation; etc. I favour the least logged of the Tanimbar Group in the Indonesian archipeligo, west of Papua New Guinea. I am not averse to this experimental transfer. It would confer protection on the chosen island, thereby protecting the indigenous species from humans and further logging. The lemur impact on the island flora and fauna would be part of the monitoring & research programme. You are so ignorant and absent minded it beggars belief. Just because someone is a succesful businessman does not mean they have the right to disrupt an ecological system, whether they own it or not. Now I'm not stating that Richard Branson isn't well intentioned, but that doesn't mean he is right. And no, 'real working people' are not all getting annoyed by the increase of environmental issues in the press, you don't have to be a tax payer funded 'eco loon' to appreciate the huge amount of biodiversity loss that is currently underway as a result of human pressures. It's people like you that are the real problem; if you're not interested in the natural world and conservation then fair enough but you don't have to attack the peole who are and who are trying to do something about it. I'm guessing you have never been to Madagascar because if you had i'm sure you would be more aware of the environmental, and social, 'catastrophe' that is unfolding there. Perhaps learn more about the subject before you criticise those involved in it. i think this also leads on to a tougher question, what are we saving these species for? from my perspective a species is much more than a few token individuals. it includes the record of continuous evolution preserved in the diversity of a particular population. it includes the behavioural interaction between species in an ecosystem. it includes the way a species alters the non-living habitat that indirectly affects other species in that habitat. so transplanting a few individuals to a virgin (literally!) island is pointless unless the objective is to restore them to their original habitat.....which does not appear to be the case here. in fact as you mentioned richard, in some ways it could make the original habitat more vulnerable. It seems to me me that you can please some people some of the time but not everyone all of the time. Environmental issues touch the heart, and reach into the recesses of human emotion. I am touched by all these stories of endangerment, and to be honest I don't know what the future for some of these animals. Suffice to say it is now a global problem and I live in the UK. We have a safari park in Kent and many endangered species live here. The greatest danger faces in my neck of the world is sewage pollution. Whether exotic animals or the British wildlife, pollution affects them all. In the sewage industry they have just produced sewage treatment plants that have literately no carbon footprint and their discharge is 99% pure. The www.theseptictankshop.co.uk has for many years been against pollution of the environment. It must be tackled now. The world leaders talk to much at times. Many people on the ground such as surfers against sewage are fighting hard to protect our environment. Please let us stop this madness. Hi, Rockies. Yes, I have had close encounters all over New England – usually doing early morning photography out of my touring ‘Bed & Breakfasts’. They seem to derive pleasure from frightening me when I turn the corner to pick up the hire-car from the back lot. In general terms, species diversity and variety of large mammals is limited - largely as a result of the post-glacial human expansion through the Americas involving the extermination of ‘naïve’ prey spp with no prior exposure to human hunters (Jared Diamond) – and with low diversity comes higher numbers of limited species; hence the black bear. This is the classic ‘pest species’ phenomenon, where a species expands in increased numbers into niches previously dominated by erradicated spp. Perhaps it’s the ecologist in me, but I was frustrated by the lack of discussion, and the lack of depth of discussion, on Richard’s last posting. Incredibly important topic, cut short. But at least it will return when the conference report is published. Well, I do applaud the well-meaning intentions of Sir Bransom but i also see the side that says 'these animals have had their shot'. I guess EVERYTHING 'has its shot' and then passes on. Millennia from now, some specie from somewhere may well be saying that about us. Scary thought, isn't it? If Richard Branson really cared about the environment then he would donate the vast majority of his fortune to organisations like the IUCN so that they can do their reserach, protect Endangered Species from poaching and provide viable sources of income that don't destory the enivornment for local people living in these countries. It's nothing short of a publicity stunt to get people to buy his services/products by thinking he cares about the environment. The fact that one man can "own" an island shows where the real waste of money is going. If a man can own a field, why can he not own an island? Have just been reading about the history of Madagascar. And Pleistocene extinctions. As might be expected on an island - even one as big as Texas - there were many extinctions, including a whole cast of very large lemurs. So the current problems are the continuation of a longer trend. Well... still having trouble with your vision of North America as impoverished. Yes, there were a lot of Pliestocene species lost when humans arrived. But that is not particularly relevant to what has happened in the last 10,000 years, except as something to learn from. We could go back further and note all the extinct dinosaurs. Indeed, if you add all the new species that have come to North America - everything from honeybees to earthworms to Chukar partridges - there is far more biodiversity now. Yes, those species have brought ecological changes, some good and some bad, but that has always been the way of the world. Change is the only constant. The black bear has been in North America for about 3 million years. It did survive. But the inconvenient truth is that there are now more black bears in North America than there have been at any time in hiostory or probably prehistory. All of their eastern US range was occupied by either farmers or hunter-gatherers... and if you think black bears are a 'problem' for people now, there were much more of a problem for those people. They were also a prime source of fat, fur and meat. So now there are more. Why? Because we are wealthy enough NOT to need to kill them or directly compete with them. Conservation is a luxury and a function of wealth. That is very evident in the real world. And more on your perceptions of impoverished North America. If that was true, where are all the (recently) extinct species? Eight birds in all of recorded history, none since the passenger pigeon a century ago (although they more recently sort of announced the extinction of the Eskimo curlew... but it was actually gone, or on the verge a century ago). Mammals? Please. Name one. Given what has happened here over the past 200+ years, I would say that that is a great record. And it started getting better 100 years ago when there was a real extinction crisis in North America, mostly due to overhunting (market hunting). North America is not Madagascar. "If a man can own a field, why can he not own an island?" Or indeed why not responsibility for something valuable? I think it would be great if some sort of "legal stewardship" could be bought (rather than the land itself) in which the "steward" had a legal and publicly-accountable responsibility of maintaining its biological/ecological value. I've had it up to here with super-colossal billionaires such as Sting, Bono and Richard Branson making yet more mega-bucks out of telling the rest of us how we should behave. Let US tell THEM how THEY should behave. Let's tell them: If you care about the rainforests, or lemurs, Sting et al, put your big fat money where your big loud mouth is, and do some genuine good for a change instead of flashing your holiness around the place. I understood the 24 ring tailed (hardly the most endangered of the 60 taxa) lemurs were going from Western zoos? Making a much different issue from the implied one of saving Madagascars lemurs. Saving lemurs ace brilliant a wonderful sentiment which I would applaud. What about indigineous fauna, they will get eaten, is there anything which will predate the lemurs and what the lemurs will predate has to be investigated thoroughly first. Never forget what happened with the rosy wolf snail, the giant african snail and the partual snail in Polynesia (google it). Saving the lemurs is something I would love to happen but it is not a solution if there is a possibility of putting another species in danger which may or may not be the case. It's good to be back and discussing seriously with Rockies. but I really like the huge question posed by Rossglory @ 33. Off-topic, but great. I am wondering whether Sir Richard Branson might consider buying up a suitable area of degraded former forest land in Madagascar; then working with those of us who are trying to address the underlying causes of the deforestation; together with long-term protection of the habitat for these lemurs and all the other interconnected organisms there. Food-insecurity is a massive driver of this problem. There are now viable answers to it. Removing this source of pressure will allow the ecosystem to recover slowly...and it can be aided by active reforestation, where practical and affordable. RBG Kew and Inga Foundation have begun working jointly on this. No. 23, 39 et al. This is exactly the point - buying parts of Madagascar to protect them won't work in the current socio-political situation. So Branson is saying should we just try protecting these species somewhere else. There are many protected areas around the world which are failing to protect the species within them. Even if we disagree with Branson's project, at least he has highlighted the failings in Madagascar. "buying parts of Madagascar to protect them won't work in the current socio-political situation." "He could also contribute to family planning clinics in Madagascar along with advertising to promote the advantages of small families." If the current socio-political situation in Madagascar makes it advantageous to have big families, it would be misleading advertising, akin to European missionaries trying to persuade Africans of the advantages of Christianity. I love all these people telling Branson how he should be spending his money and what he should or should not be doing on land he owns. The arrogance is breathtaking. Oh, and as for everyone saying the introduction of species is always a disaster, might I point out the rabbit? True, a disaster in Australia but everywhere else where they have been introduced, by us, (and that would be everywhere outside of modern day Spain) they have become a cornerstone prey species for many of the world's predators. Unfortunately in many societies pregnancies are not planed, responsible societies choose to limit their numbers and will be overwhelmed by the irresponsible. Some form of compulsion is required. "Some form of compulsion is required." Hmm... Prefer the "inquisition" to the "missionary" approach, eh? I wasn't expecting that! "responsible societies choose to limit their numbers"
The trouble is, individuals make decisions, not societies. The societies in which individuals limit their numbers are not "responsible societies" so much as "societies in which it is advantageous for individuals to limit their reproduction". These are generally affluent societies in which parents don't have to worry about the high attrition rate of children, or the necessity for siblings to look after each other if parents die, or the life-threatening privations of old age if they are lucky enough not to die. In societies where those are real concerns, responsible individuals do the responsible thing by having more children. Let's all be as aware that life in places like Madagascar is different from life in the affluent West. Our concerns about over-population and lemurs are a sort of luxury that they cannot afford. "might I point out the rabbit? ... everywhere else where they have been introduced, by us, (and that would be everywhere outside of modern day Spain) they have become a cornerstone prey species for many of the world's predators." Sorry. Don't follow. No rabbits (hares?) outside Spain? And aren't you forgetting about that ferocious breed of rabbits that the Monty Python boys had to face? They had to have some impacts. "Let's all be as aware that life in places like Madagascar is different from life in the affluent West. Our concerns about over-population and lemurs are a sort of luxury that they cannot afford." Indeed. I was just thinking about this concept. Here's a simple way of thinking about it. Madagascar is an island. The UK is an island(s). If somehow there was such a thing as British lemurs, and they had some how survived to 2011, I wouldn't be too worried about them. Their populations would probably be very secure and possibly thriving. Another example. All the deer in North American suburbia... and in the UK now too I hear. They wouldn't survive around people who were not so wealthy. They would be eaten. So to save things in Madagascar, that country needs economic development to make those people more affluent. The rest falls into place from that. .. on the contrary, that is precisely what locks them into a poverty trap, forcing them to further degrade their environment in a vicious cycle of cause and effect. bowmanthebard# 44: "responsible individuals do the responsible thing by having more children"
Lamna_nasus #47: 'Responsible'?.. or self-serving?..." Judge it for yourself: if you have one child, it is more likely to die than live. If you have two children, you are more likely to have a child that can look after you in old age (i.e. the equivalent of a pension plan). If you have three children, the children who do not die can act as parents to those whose parent do die. Are you beginning to see how it works yet? Before the Romans, there were no rabbits outside Spain. Hares, certainly, but no rabbits. In fact, Spain is actually named after the rabbit. The Phoenician settlers found rabbits in abundance, and mistook them for hyraxes of Africa; thus they named the land in their Canaanite dialect. The Latin-speaking Romans adapted the name as Hispania. The Latin name was altered among the Romance languages, and entered English from Norman French as Spagne. As for the killer rabbit, The Holy Hand Grenade of Antioch took care of the last of those. One Madagascan farmer has two kids.. he splits his farm between them in his will..
Those two kids have two kids each.. they split the their halves of the farm between their kids in their wills..
Those kids have two kids each.. they split their quarters of the farm between them in their wills..
Those kids have two kids each.. they split their eights of the farm between them in their wills..
... in no time at all, the original farm cannot support the families who have inherited it (and 'two kids' each time was not exactly over-egging it). ..are you beginning to see how it works yet? This would appear much more of a zoology site than an environment one, going on topic frequency. Hmmm.... you are referring to the European rabbit when you state 'rabbits', I take it?.. They are the most common species of rabbit on Earth and are found on every continent (except Antarctica, obviously) They didn't get there on their own. Malthusian land-inheritances in Africa have been the cause of genocides more than a few times. My 'favourite' research study is within the context of the Ruandan genocide - André & Platteau; Land Relations Under Unbearable Stress: Ruanda Caught In The Malthusian Trap (1998). This study of the Kanama commune identified the way by which inheritance made starvation, poverty and ultimately murder 'inevitable'. And, whilst Malthusian outcomes are NOT inevitable, this case study shows the terrible track to self-destruction built in to this socially fixed pattern of inheritance. The study also showed that the killings were not simply Tutsi-Hutu tribal, but that many Tutsi-Tutsi and Hutu-Hutu land issues were sorted out with the machete under the cloak of tribalism. So Lamna nasus is 'spot on'. And Eddy @ 51, who thinks this site is over-egged with Zoology, can feel a little pleasure at this leavening with anthropology. you actually meant the Romans introduced a domesticated version of the wild European rabbit species to most corners of their Empire'.. rather than 'Before the Romans, there were no rabbits outside Spain..'? As far as Sir Richard's plan for lemurizing his vanity islands ... well, if he wants to bring in some ring tails from crappy zoos, and put them up right, who's to deny him the pleasure? On the other hand, I certainly hope that, in the light of the publicity surrounding this project, some of the entities engaged in conservation in Madagascar will be seeking serious face time with Branson. Perhaps he will be amenable to supporting more practical projects for the protection of lemurs and lemur habitat. "If the current socio-political situation in Madagascar makes it advantageous to have big families, it would be misleading advertising, akin to European missionaries trying to persuade Africans of the advantages of Christianity." Lets see, the population of Madagascar is growing at about 3% per year. That means doubling every ~23 years. Just how much longer do you think this ponzi scheme will last in an effort to provide care for the aged? I thought you said you and gone through integral calculus in your studies. You should be able to look at the implications of this state of affairs. Why don't you calculate how long it will take to get to 1 person per sq. meter. The area of Madagascar is 581540 sq. km. and the population in 2009 was 20653556. Trying to convert people to Christianity isn't even germane to the discussion. White helicopters bearing forced sterilisation teams? Or, more cheaply, just go in and shoot every tenth person? I often have the impression that for many, the human population of the third world are simply an impediment to the enjoyment of a pretty landscape. And were one driver of the Crusades. So long as wealth is primarily tied to land, the problem is endemic. Hence the beauty of capitalism, which, among many other things, shifts the focus of value from land to labour. The upshot being, it is through economic growth that the Malthusian problem may be solved. For anyone interested in the population question, and particularly the population question in Africa, I suggest this little essay. It makes several interesting points, noting that, in Kenya at least, population growth these days stems not from increasing fertility levels, but from increasing life expectancy and the echo of the initial population boom. He also notes that population densities in sub Saharan Africa remain well below those of Western Europe. The point being, can we really expect Africa should forever remain an agrarian backwater, a game preserve for urban First Worlders, forever? "Lets see, the population of Madagascar is growing at about 3% per year. That means doubling every ~23 years." What an utterly naive induction, one that completely ignores the factors that cause populations to increase or decrease. You're simply looking at a pattern and extrapolating from it. It's like saying that in a few decades we'll have skyscrapers that extend into space. "Just how much longer do you think this ponzi scheme will last in an effort to provide care for the aged?" The extended family is a central part of human evolution, so it's been a "normal" human pattern for at least 50,000 years. You'll find that reproduction itself has been around even longer. That's why there are so many rabbits, have you noticed? Instead of complacently wagging your moralistic Western finger, I suggest you give a moment's thought to what motivates people to have more children. "Trying to convert people to Christianity isn't even germane to the discussion." Some middle-class Western professional types think they have a solution to the world's problems, one that involves converting African natives to their way of life, if necessary by force. This force would be used in the natives' own interest, even though they aren't aware of that. in my post @#43 I could have talked of responsible individuals rather than responsible societies however responsible decision making seems to occur at certain geographical locations for some reason, either way the responsible are likely to be overwhelmed by the irresponsible. We have some common ground in that I do not think that the people of Africa will ever want to convert to our way of life or adopt our values. economic growth is not a panacea. comparing the uk to madagascar and suggesting the difference is economic development is only part of the story. if all our economic activity had to be generated within the borders of the uk (no cheap imports from around the world) the environment would be a lot less diverse and a lot less pleasant. sustainable development is the key. it's not easy but possible. blind faith in the miracle of free market economic development creates more problems than it solves (for people and lemurs). So you could say that we can blame the Romans for giving us "Night of the Lepus" 1972. Cole Hillman's Arizona ranch is plagued with 'mongrel' rabbits, and he wants to employ an ecologically sound control method. As a favor to college benefactor Hillman, college president Elgin Clark calls in zoologist Roy Bennett to help. Bennett immediately begins injecting rabbits with hormones and genetically mutated blood in an effort to develop a method of disrupting rabbit reproduction. One of the test subjects escapes, resulting in a race of bloodthirsty, wolf-sized, man-, horse-, and cow-eating bunnies. Eventually the National Guard is called in for a final showdown with the terrorising rabbits. "They were born that tragic moment when science made its great mistake... now from behind the shroud of night they come, a scuttling, shambling horde of creatures destroying all in their path". "How many eyes does horror have? How many times will terror strike?" Not Janet Leigh's finest hour although possibly Stuart Whitman's. Deforest Kelly was in it post Star Trek. How about a film featuring rampaging lemurs? "Richard Branson's tropical island is plagued with 'mongrel' lemurs........."
Yep, I was quite surprised to discover our own little semi-urban Roe deer population. We've been seeing them wandering around more and more often recently and what with all of the traffic in our little commuter enclave, the occasional dead one on the side of the road too. But there really is a surprising amount of wildlife in and around where we live and I've been noticing a general increase in the bird, rabbit and fox populations too. It seems that as all of the construction companies have moved out, so the animal populations have moved back in and apparently started to thrive - It's quite encouraging really. Whilst, the organisation in question and myself, disagree on some quite fundamental issues (climate change for instance) we do agree on a lot more re: changes in land use and habitat protection etc etc. By closely involving the local populations and providing them with access to better land and forestry management techniques they are providing them with both jobs and access to sustainable forestry resources. All in all, and given where we are (approx 10% of Madagascan rain forest remaining) these sorts of schemes have to be the best way forwards. With regards to the apparent slightly colonial/genocidal tendancies that are being expressed by some of our contributors, I’m afraid you’re on your own with all of that, it really beggars belief that people can even contemplate those sorts of things…. If you’re looking for problems in the world that need solving, then I'd humbly suggest that you start your searches and campaigns much, much closer to home. Whilst not a believer myself, I will comment that Christian missionaries did stop a lot of atrocities in Africa, unfortunately many of these atrocities are making a comeback now that we have lost our missionary zeal. There was recently coverage on the BBC site of the murder of African albinos so that their body parts could be consumed as part of black magic practise. Were the missionaries wrong to try to convert people to our values? Stop you right there. What you are simply doing is being smug and pedantic. If you have nothing to add to the argument then add nothing, rather than nit pick a minor point. Change no rabbits to no european rabbits if it will help you sleep at night. Jesus H Christ, do people really get this uptight about tiny details? But then, I suppose it does provide a distraction from the main point. The fact is, This land is owned by Branson and if he wants to introduce lemurs to his island and see if they thrive there, that's his business, and not the business of any of the Guardianista. "Were the missionaries wrong to try to convert people to our values?" I think they were right to try to convert people away from black magic, ritual murder, etc.. But you can only implant values by appealing to more basic values that people already have -- such as commitments to truth and decency. Suppose some missionaries came here and tried to convert us away from testing on animals. We would argue that human health is more important than the animals' well-being. They would have to appeal to values we already have -- such as kindness and the elimination of fear and pain -- to persuade us. Because we are already doing what we think is best by our own lights. Many people who have a lot of children are already doing "the responsible thing" by their own lights because in the absence of social welfare, health care, etc., they are in effect getting "insurance" by other means. Rather than forcing them to use birth control which they would regard as irresponsible, or hoping to brainwash them into thinking it's in their interest when it isn't, perhaps we should enable them to improve their expectations so that having fewer children really is in their own interest (rather than our interest). As others have pointed out such schemes cannot survive in a lawless society. The problems of distant parts of the world are starting to get very close to home. Good people have been trying to help the people of Africa for two centuries, many lost their lives to disease or violence, sadly their efforts have had little lasting success and I cannot see the situation in Africa ever changing. Cannot post from IE but can post from Firefox. "Good people have been trying to help the people of Africa for two centuries, many lost their lives to disease or violence, sadly their efforts have had little lasting success and I cannot see the situation in Africa ever changing." africa will develop economically because they have huge resources and the chinese need them. it is becoming common for the chinese to swap access to resources for huge investment in infrastructure projects (mostly with chinese workers though). imo the west will have little influence in most parts of africa in the coming century. It seems that as all of the construction companies have moved out, so the animal populations have moved back in and apparently started to thrive - It's quite encouraging really." Indeed. It has little to do with habitat other than maintaining some. It is all about a change in attitudes which is made possible by affluence. Without the latter the suburbanites would be eating the deer. Classic example of the difference between the UK and Madagascar. The problem with this, as you folks in the UK will discover if it is not already evident, is that those deer populations are going to explode and that overpopulation will have major and destructive impacts on the shrubbery they browse down, which will have major impacts on habiat for other species - most conspicuously songbirds. In the eastern US in particular there are areas which are becoming ecological basket cases because of deer overpopulation... but the uninformed and ecologically ignorant public is so in love with their bambis that they go ballistic when any controls are suggested. Just as too few of a species is a problem, so is too many. All Greens seem to understand that when it comes to people but don't get that point when it comes to deer or many other things. By the way, I keep seeing rumours of some grand plan to reintroduce wolves to the UK... perhaps as a means to address deer or red deer (elk as we call them) populations. In a place like the UK that would be absolutely insane. As a test, just let a few packs of wild dogs roam free for a while and see how that works out... because wolves and dogs are the same species and when dogs are in packs they go wolfish. Much simpler and better to increase human hunting... but that brings us back to the uninformed ecologically ignorant sentimental anti-hunting crowd that won't let that happen. They must secretly hate deer if they would prefer to see them starve to death or be ripped apart by wolves rather than killed quickly. "economic growth is not a panacea." I expected a Watermelon like you to jump on this. Capitalism and prosperity bad. "comparing the uk to madagascar and suggesting the difference is economic development is only part of the story. if all our economic activity had to be generated within the borders of the uk (no cheap imports from around the world) the environment would be a lot less diverse and a lot less pleasant." Yes. So? Why can't Madagascar do that too? They already do. Bottom line - conservation is a luxury that only wealthy people can afford. On the bright side, wealthy people are now supporting conservation in poor countries. Too bad so much is being wasted on the AGW debacle. "What an utterly naive induction, one that completely ignores the factors that cause populations to increase or decrease. You're simply looking at a pattern and extrapolating from it. It's like saying that in a few decades we'll have skyscrapers that extend into space." You do manage to miss the point, no doubt intentionally. The little calculation I suggested you undertake was to point out that, in time, there will be a change whether or not it is desirable from a cultural point of view. The question is, is it better to let nature and culture take its course and turn the whole island (or whole planet) into a waste land, or try and apply a little human intelligence to anticipate the consequences of continuing down the current path and try and change things before "nature" does it for us the old fashion way. If organisms breed like rabbits, they end up dying like rabbits, because that planet will not accommodate infinite growth of anything real. Or to paraphrase Kennith Boulding, if you believe in infinite growth on a finite planet you are either a fool or an economist. You also seem to have a consistency problem, on the one hand you accuse middle class people who point out the obvious, i.e. that the population of Madagascar will not be able to sustain a 3% growth rate for very long, with moralizing, yet you claim to support spreading "humanitarian" beliefs that would lead Africans away from killing and dismembering albino's as part of the cultural traditions. Which is it, try to change culture or not. Or do you just change positions at will to ambush bloggers with some of your non-sense. "What an utterly naive induction, ...."
I was under the impression it was a deduction: i.e. I look at the land area of Madagascar, the current population estimate and the current growth rate. I calculate how long it would take to get to one person per sq. meter. I realize that the probability of arriving at this state is close to zero and therefore conclude, either the culture will change dramatically to choosing smaller families, or the death rate will rise dramatically or there will be massive emigration to places that already have no shortage of people. It is really just a matter of arithmetic. So which alternative is your preference?